The husband of this cute little bunny’s owner wanted a kitten instead of a rabbit. So to solve the argument They got both! They thought they would fight like cat and dog (well, like cat and rabbit really). But they couldn’t have been more wrong! Now they won’t sleep without each other. 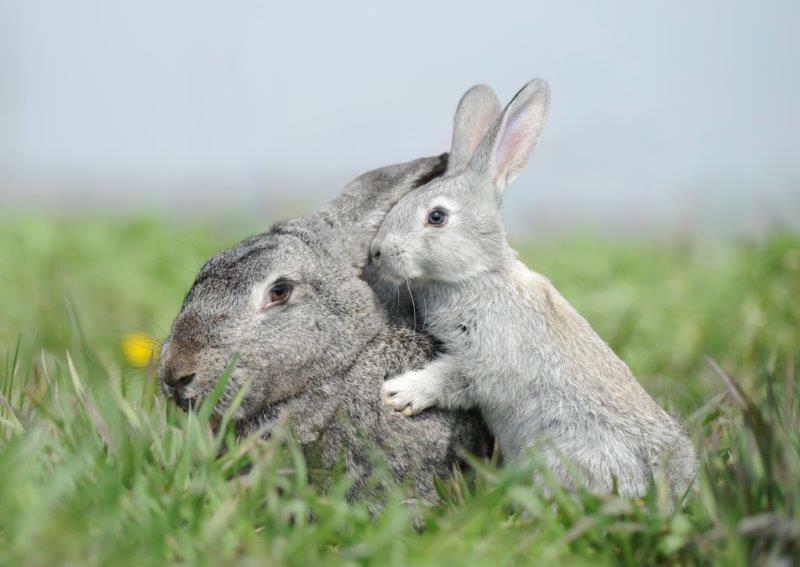 Rabbits are naturally very social animals, after all in the wild they can live with up to 15 others in a warren. Their natural desire for friendship is one of the things we love so much about them. 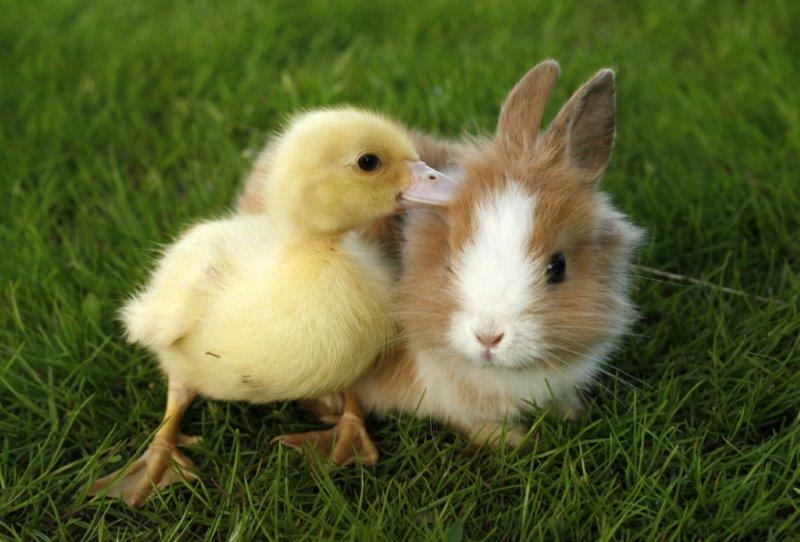 Sometimes our domesticated rabbits can even make friends with animals that would be predators in the wild! 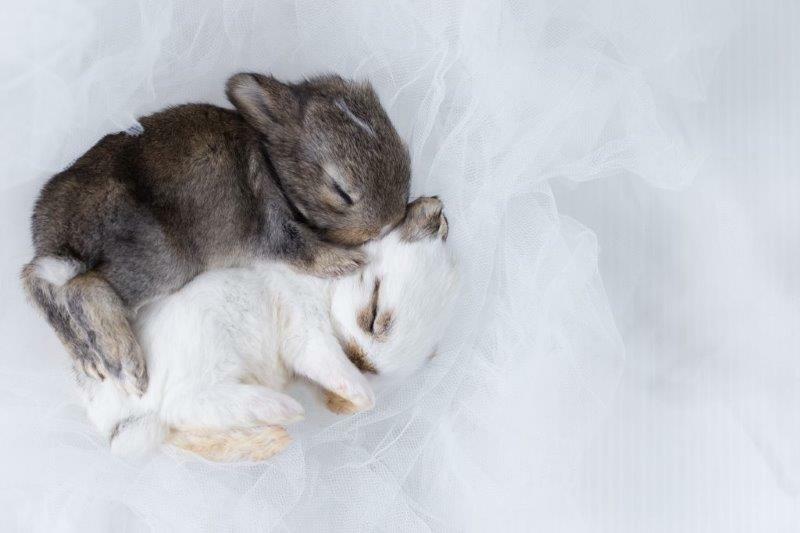 We wanted to celebrate their cute, cuddly nature by bringing you 35 of the cutest bunny buddies. So scroll down and enjoy some friendships, from a baby rabbit who is friends with a cuddly toy, to a dog and rabbit who are closest of friends. Please don’t forget to leave a comment telling us which is cutest at the bottom. We would love to hear from you. This cute baby bunny is Buster, and his owner also keeps ducks on their farm. One day their new ducklings escaped and got into their garden. Now Derek the duckling is their pet too because Buster was upset when they were separated! This cute guy is called Knuisje, a lop eared rabbit from Antwerp. 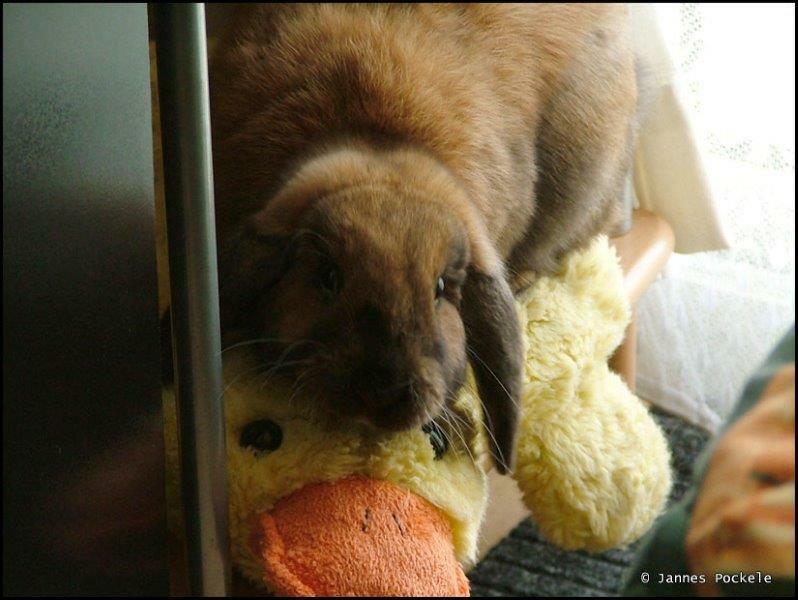 He drags his stuffed duck everywhere with him now but originally it was his owner’s dog’s! Rabbits can get quite possessive over things quite quickly as they found out when he kicked his back leg every time the dog went near his new best friend. 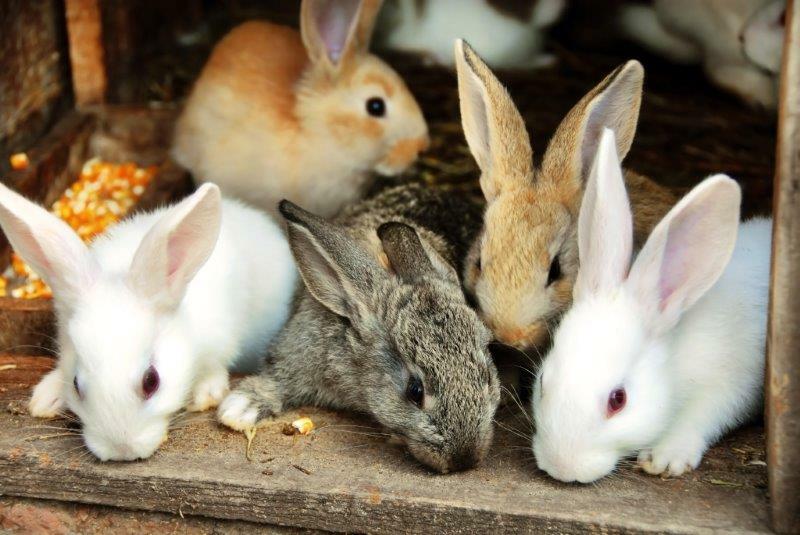 All bunnies start their lives together in a litter of up to 14 kits (baby rabbits). This is where they begin to learn that there is safety (and warm cuddles) in numbers and they begin to add to their already social natures. 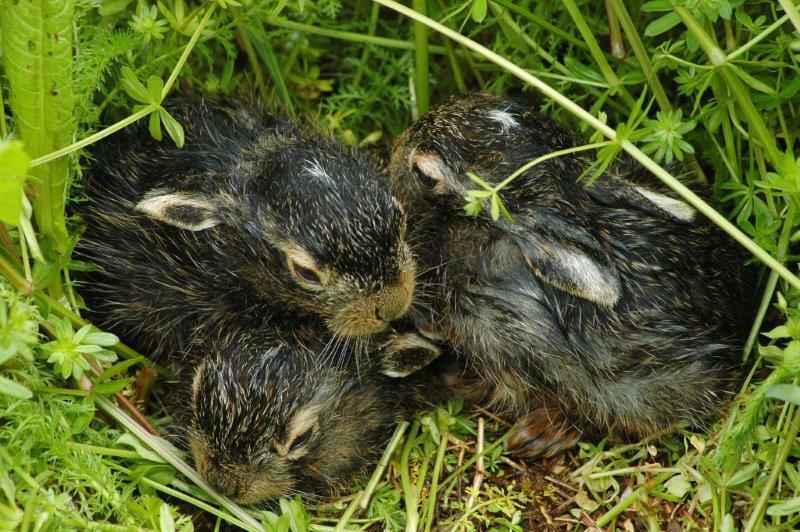 These cute bundles were discovered at the bottom of this reader’s garden, they made sure not to disturb their rabbit mother when she came back. 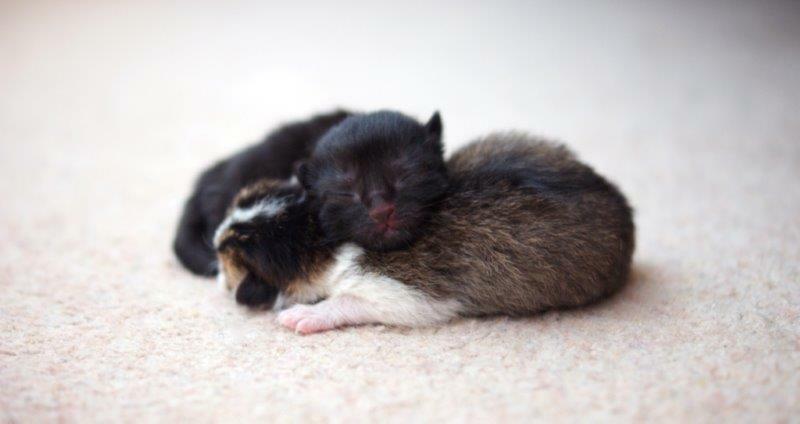 Here are two more incredibly tiny and cute kits. 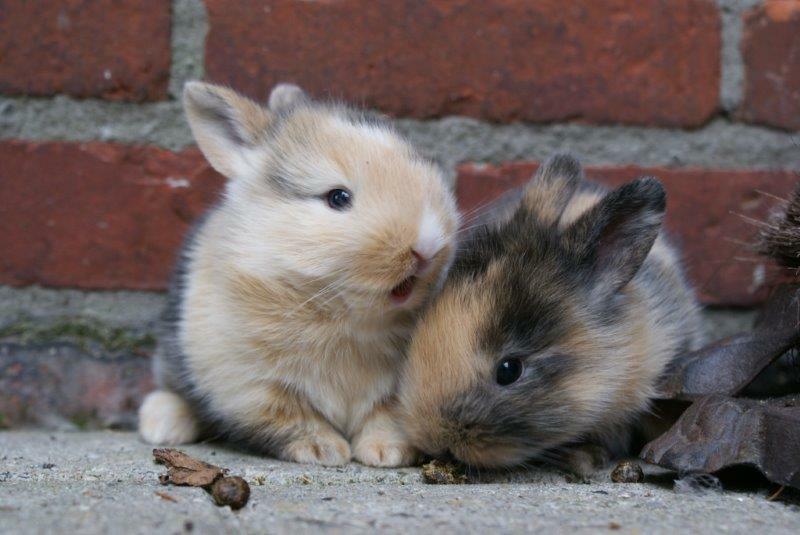 Baby rabbits don’t open their eyes until they are about 10 days old. Until then they normally stay cuddled up in their nest made for them by their loving mum. Here’s a lucky shot of two wild rabbits – mum and baby. We were a bit worried that her baby was clinging on because of the strangers pointing a weird thing (camera) at them so we quickly left them alone right after this! These tiny little friends are inseparable. They’re also very adventurous for such young baby rabbits. Here they are exploring their parent’s garden. Butterscotch and Onion are best rabbit and guinea pig friends. Their owners even think they’ve started to look like each other which this photo perfectly shows. 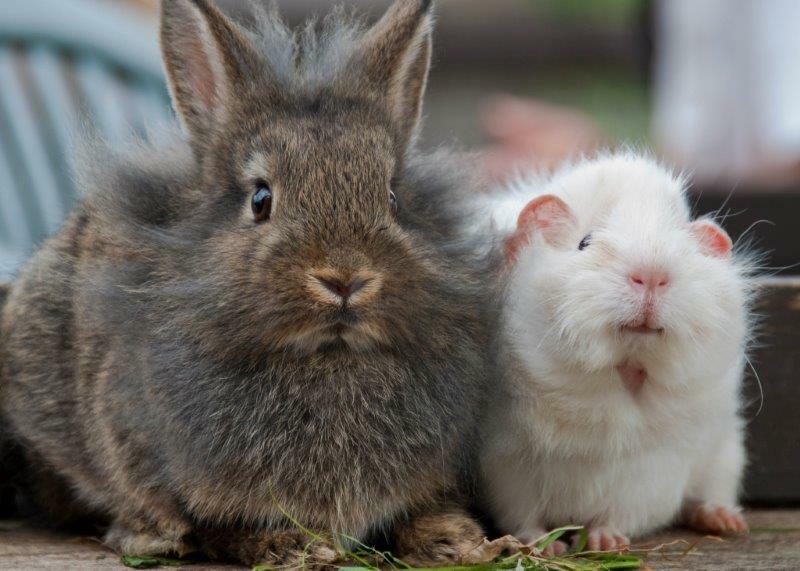 Usually it is advised that rabbits and guinea pigs are not kept together due to a number of reasons, but as these two get on great they’ll be staying best of friends. This one’s from a breeder and these fluffy friends are about 6 weeks old. As kits are not fully developed until 8 weeks they should not be weened from their mothers. As their pancreas has not fully developed they have around a 20% of developing Enteritis which can be deadly. When buying from a breeder make sure this question is top of your list. Cinnamon and Midnight have been together since being away from their litters. 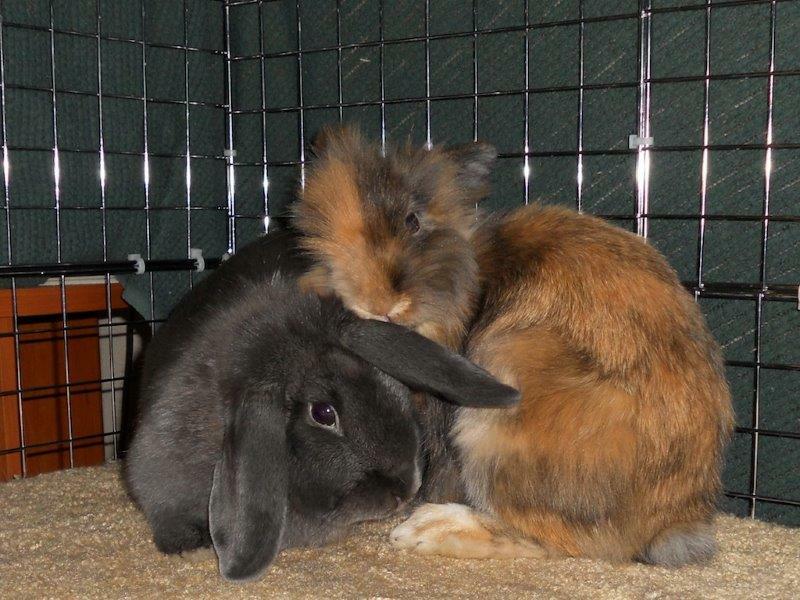 Their owners were worried about introducing them as this can be traumatic and difficult for both rabbits and owners. However on rare occasions it can go perfectly. You could call this “love at first sight”, and that’s exactly what these guys had.